The right tires not only help contribute to your vehicle's handling and performance, but can also impact fuel efficiency and safety as well. If your tires are showing signs of wear, you can get exact replacements for the original tires at a competitive price at Frontier Toyota Service Center. Our factory trained and certified Toyota technicians will ensure that your tires are mounted, balanced and inflated to match your Toyota vehicle's specifications. 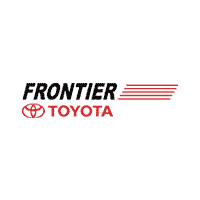 Keep your Toyota a Toyota by replacing your original tires at Frontier Toyota Service Center conveniently located in Valencia. Valid only at Frontier Toyota. Plus tax. Coupon must be presented at time of write-up. One coupon per customer, per visit. Not to be used to reduce outstanding debt. No cash value. Not retroactive. See dealership for details. Void where prohibited by law. Expires: 4/30/2019. Not valid for tires. Valid only at Frontier Toyota. Plus tax. Coupon must be presented at time of write-up. One coupon per customer, per visit. Not to be used to reduce outstanding debt. No cash value. Not retroactive. See dealership for details. Expires: 4/30/2019. Recommended with the installation of new tires. Proper wheel alignment can improve fuel economy and extend the life of your tires!